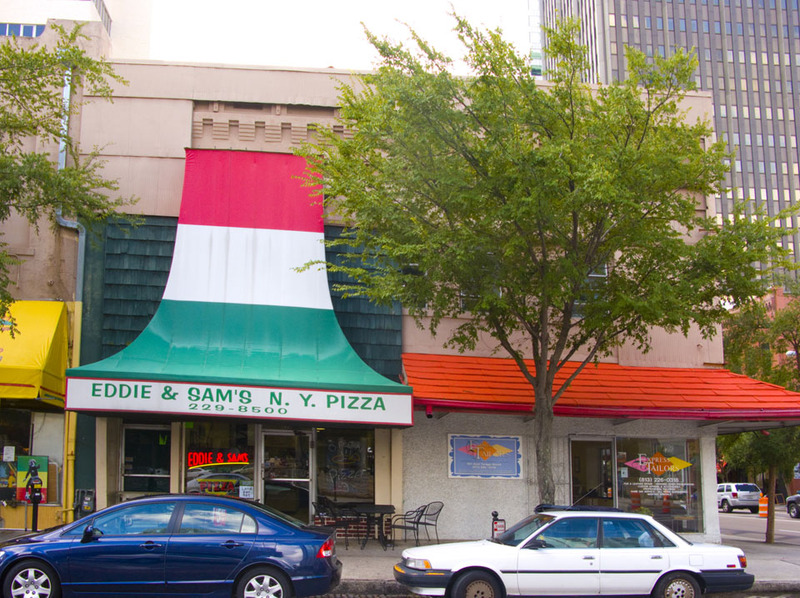 What was The Florida Citrus Exchange Building is now home to Eddie and Sam’s Pizza. 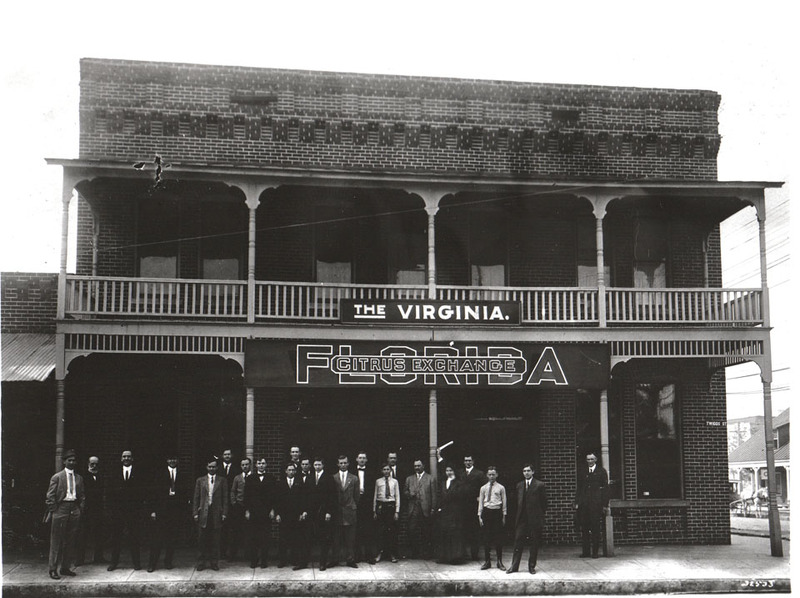 I wasn’t sure that this was the correct building, but notice the fancy brickwork at the top of the building and the small street sign on the right side. Also, if you look really carefully, you’ll even see a horse walking north on Tampa Street.